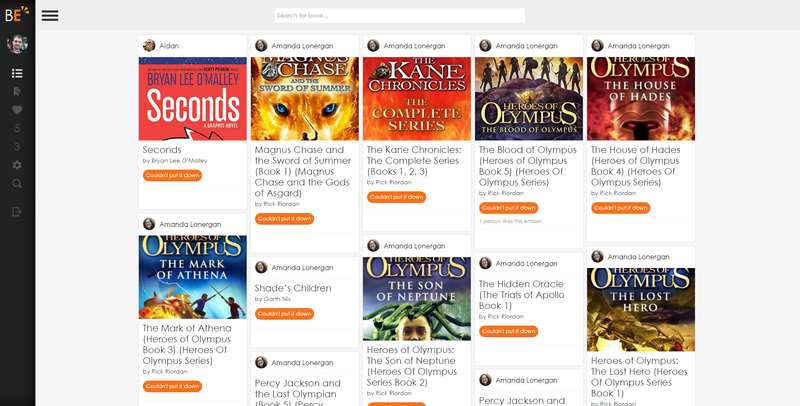 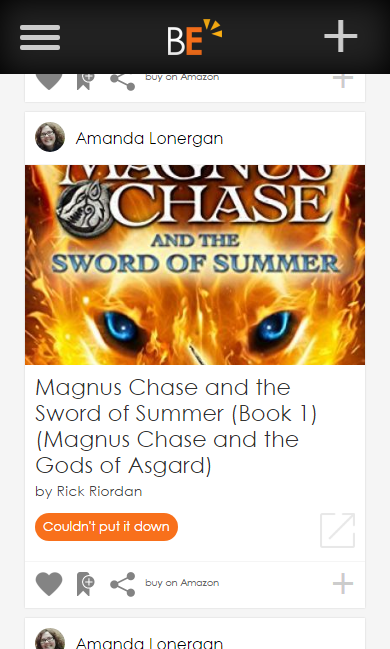 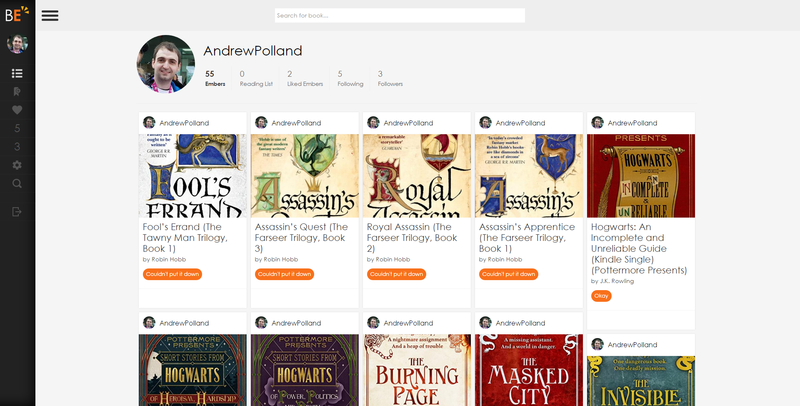 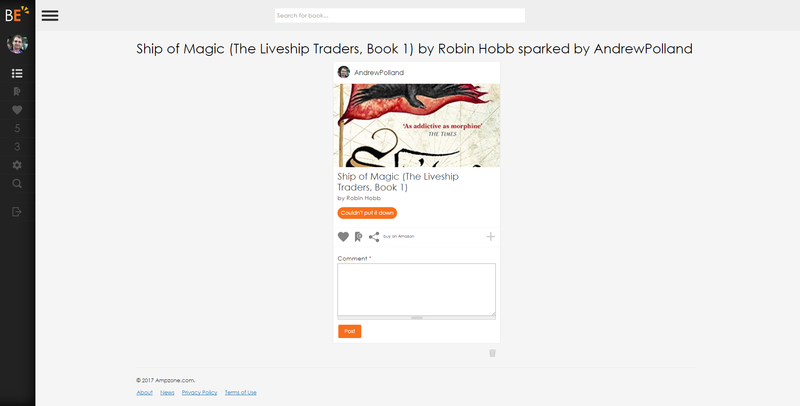 A web app to allow users to easily share the books they read and discover new ones. 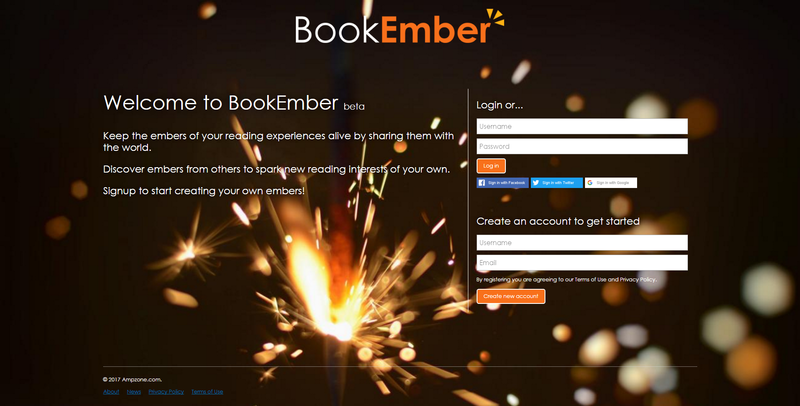 Books shared are called "Embers" which hope to ignite interest in new readers. 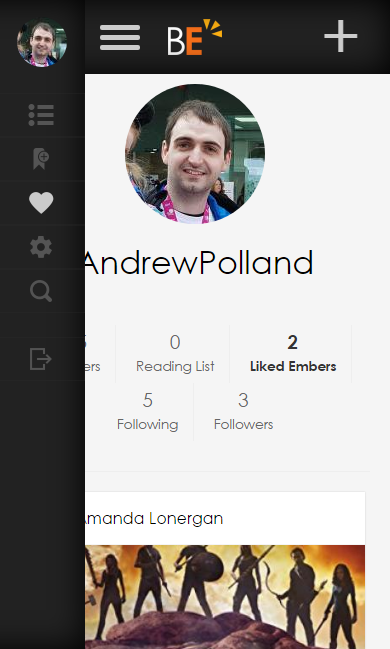 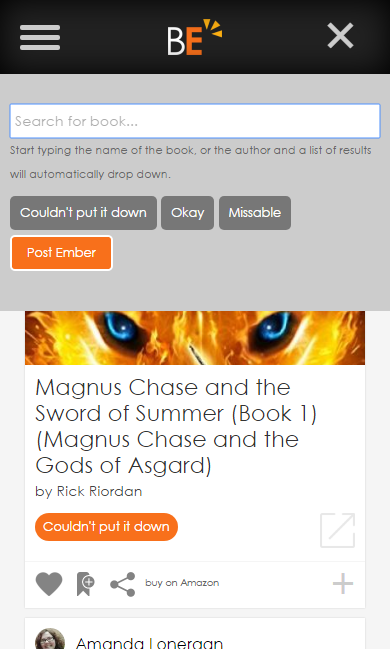 Each "ember" is given a simple tag by the user to represent their opinion of the book and further discussion can be held in the comments. 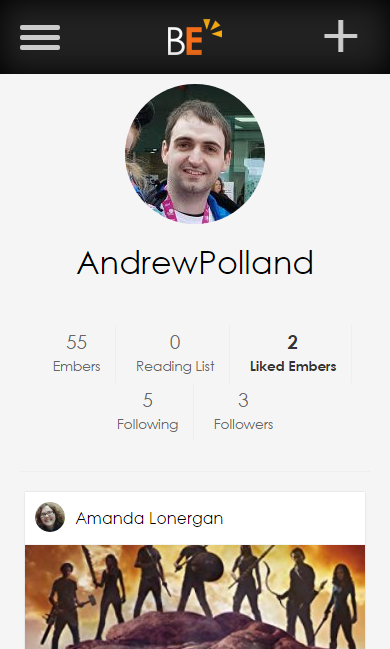 "Embers" can be liked, added to the user's reading list, shared on social media or the book can be purchased through Amazon. 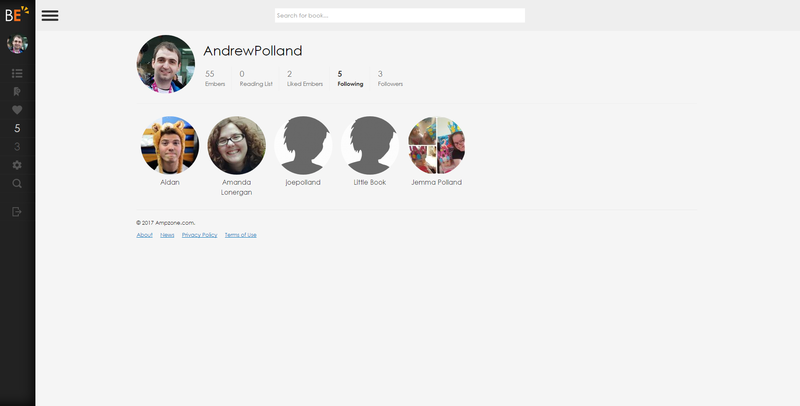 Users can follow others, and those they follow will impact the user's activity feed.